Burberry has teased a new campaign ahead of London Fashion Week next month, the first to showcase its new "seasonless" combined fashion collection. The ad campaign shows off models Jean Campbell and Alex Dragulele and musician Cavan McCarthy wearing a collection inspired by Virginia Woolf's gender-bending novel, Orlando. Fittingly, the campaign marks the first time Burberry will combine its menswear and womenswear shows at London Fashion Week, after a radical overhaul to its model announced in February. Apart from reducing its four annual shows to two, the changes also mean consumers can buy clothes as soon as they're off the runway, rather than having to wait the usual six months. The campaign was shot by Mario Testino at Liverpool's Walker Art Gallery, and also features Burberry's own craftsmen and women. One photo shows Piero Calosi, the pattern maker for a new Burberry bag called The Bridle. The fashion collection launches on 19 September during Burberry's London Fashion Week show. The campaign runs from the same date until February 2017, spanning outdoor and print. 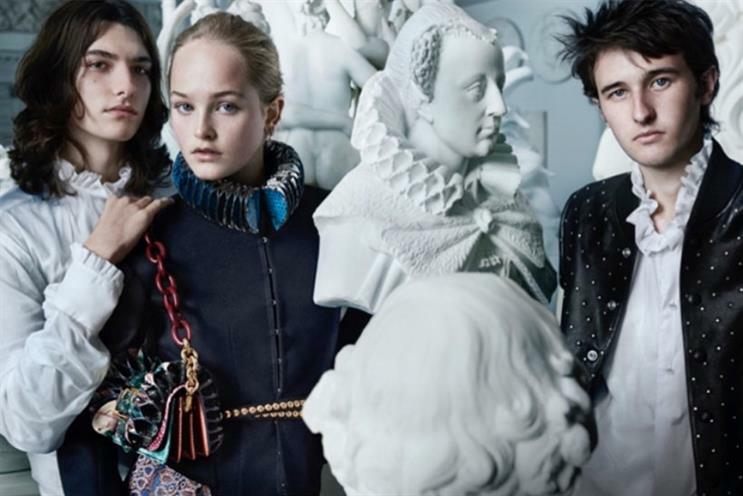 Burberry has invested heavily in digital, with the campaign also running across its own site, the major social networks and Asian social networks including WeChat, Sina Weibo and Line. Burberry has also launched a partnership with The New Craftsmen, which showcases British artists. 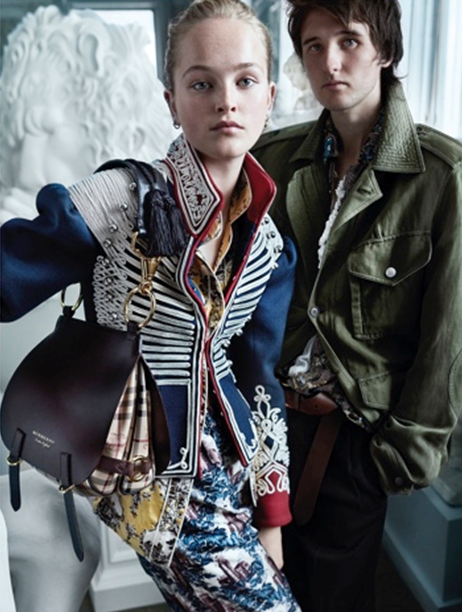 Burberry's chief creative and chief executive officer, Christopher Bailey, said: "This campaign reflects a collection inspired by Virginia Woolf's Orlando and also sets out to honour the many skilled craftspeople who work on Burberry's iconic products. "I am therefore very proud to be sharing Mario Testino's incredible portraits of Jean Campbell, Cavan McCarthy and Alex Dragulele, which we have set alongside portraits of our talented Burberry artisans." Bailey is to step down as chief executive of Burberry, taking on a new role of president and chief creative officer. He will be replaced by Marco Gobbetti some time next year.